Sony Alpha, also rendered Sony α (Greek letter alpha), is a digital SLR camera system introduced on 5 June 2006. It utilizes and expands upon Konica Minolta camera technologies, including the Minolta AF SLR lens mount, whose assets were acquired by Sony after the end of Minolta’s camera operations in early 2006. 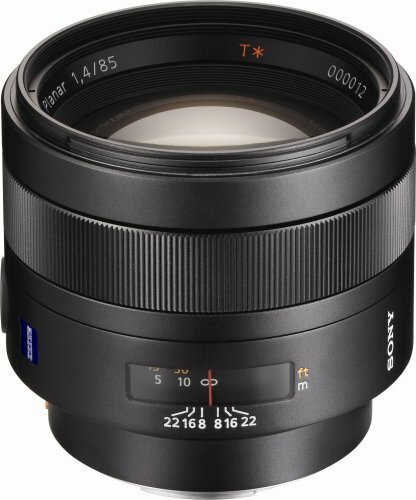 Continuing our roundups of the top lenses, today we take a look at Sony Alpha lenses – The list was compiled by comparing the top ratings and user reviews on the Amazon.com website. 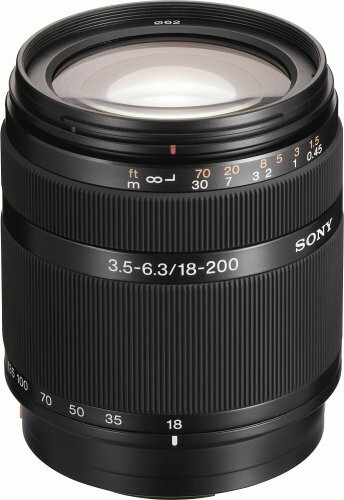 Get extremely close to your subjects from a relaxing distance with this Sony 75-300mm super telephoto zoom lens. Great for taking incredibly close-up portraits without making your subject nervous, the compact, lightweight 4x zoom lens is a terrific value and an ideal choice for covering outdoor activities and sports action, even in large stadium locations. 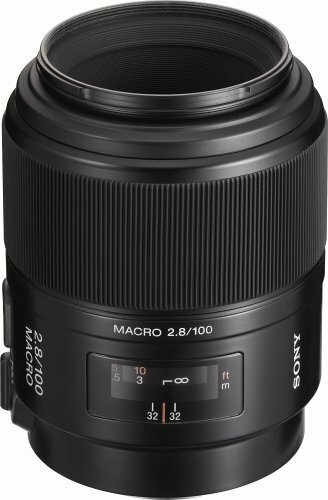 Get incredibly close to small subjects with the Sony 100mm macro lens, which delivers professional results in almost any shooting situation. The versatile macro focus lens covers a wide range of photographic applications, from close-up nature subjects to midrange telephoto shots, making it ideal for carrying on location or in the field. 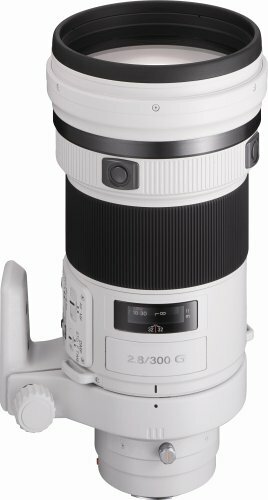 The SAL70400G lens is a 5.7x super telephoto zoom lens and the latest addition to Sony’s G-series line of premium lenses. 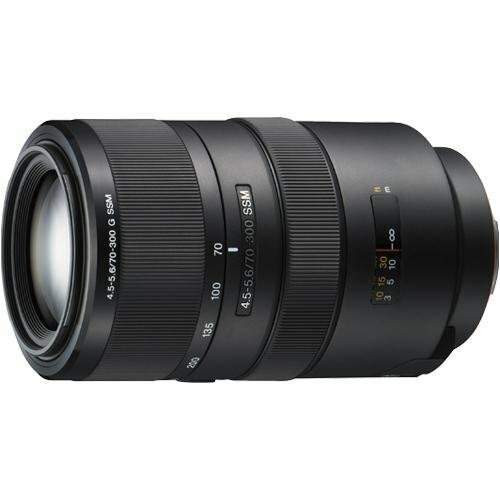 Designed to deliver extremely sharp descriptive performance across its wide focal length range, it is ideally suited for sports, action and wildlife photography. 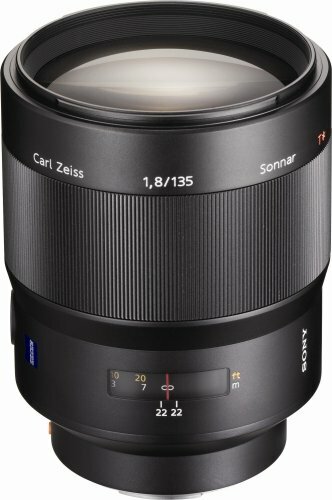 The Sony Carl Zeiss SAL-85F14Z lens is a brilliant lens for portraits, low light and midrange telephoto shooting. 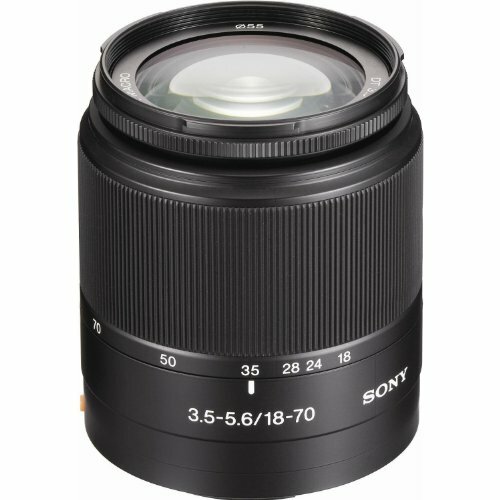 It’s a beautiful piece of glass–and for intimate or low-light portraits, fashion shots, and quick candid photographs with superior visual accuracy, this professional lens will satisfy the most uncompromising demands. A precision zoom lens with bright aperture and fast, quiet auto-focus response. 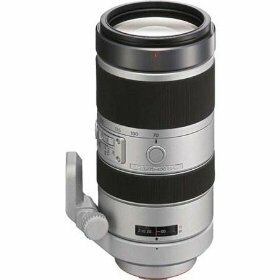 Specially designed for the APS-size CCD imager of the Sony Alpha DSLR-A100 camera, this superb G-Series zoom lens covers a broad range of frequent telephoto shooting situations. The perfect lens for fast shooting — interiors, crowd scenes and more. 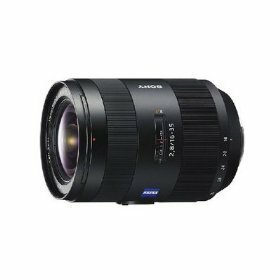 With the capability to focus quickly and zoom from super-wide-angle to wide-angle, this lens captures interior scenes with greater flexibility and handles fast action in close environments. 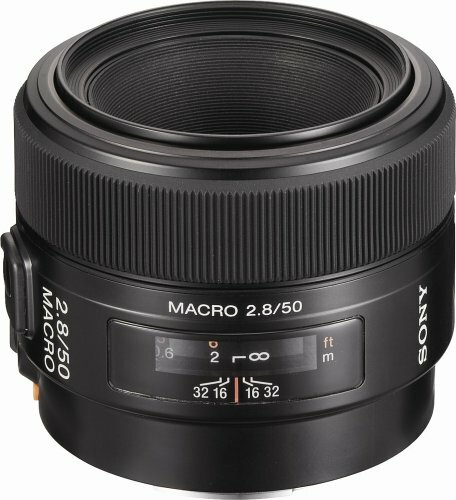 Get incredibly close to small subjects with the Sony SAL-50M28 macro lens. It allows you to easily capture the most subtle details with spectacular clarity. A compact macro-focus lens that covers the full range from life-size to infinity. “Life size” macro imaging means that the image you capture is the same size as the subject in reality, giving you spectacularly sharp photos of insects, flowers, gemstones, postage stamps and other small nature subjects and collectibles. 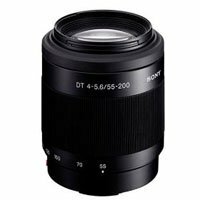 A superb zoom lens for everyday photography — the lens you’ll put on, and leave on. 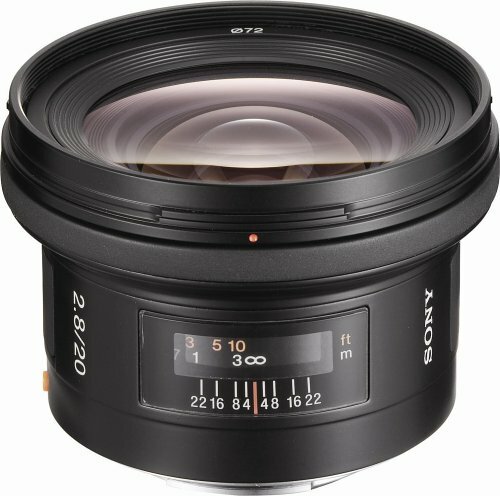 This superb standard lens for the Sony Alpha DSLR-A100 camera handles the full range of shots you’ll take most often — but there’s nothing “standard” about its advanced optical design. In 35mm equivalent, it covers wide-angle 27mm to 105mm midrange telephoto for snapshots, portraits, interiors,+ and more — an excellent all-around lens to travel with. Experience the amazing image quality of the Carl Zeiss® SAL-135F18Z telephoto lens. Its wide range can handle images that are miles or inches away. 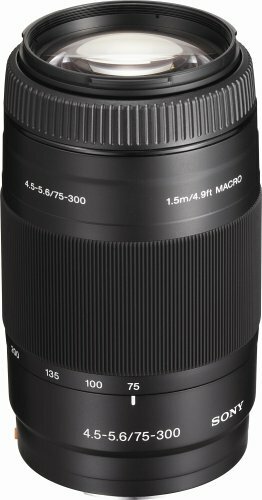 A high-performance telephoto lens with the widest aperture in its class. Whether you’re shooting a distant mountain peak or a beautiful orchid at arm’s length, this superb telephoto lens provides amazing image quality. 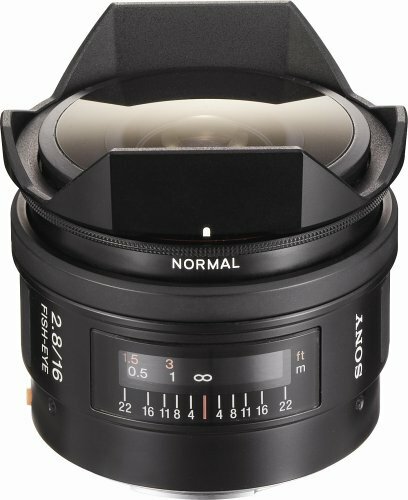 Get a fascinating perspective on landscapes, cities, crowds, and special events with the Sony SAL-16F28 16mm fisheye lens. 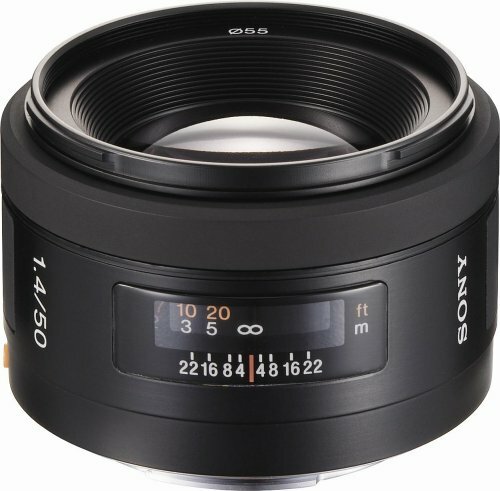 Designed for Sony Alpha digital SLR cameras, the unique lens offers a 180-degree angle of view and extraordinary corner-to-corner sharpness. For definitive long-shot precision and spectacular portraits even in low light, this professional G-Series lens raises the standard of DLSR performance. Its 35mm-equivalent 450mm focal length and ultra-bright f2.8 aperture combine for superb results in virtually any light–and its high-speed SSM (Super Sonic wave Motor) autofocus is fast, accurate, and quiet. It delivers a super-wide 94-degree angle of view, corrects visual aberrations from about 10 inches to infinity, and provides deep depth of field for complex shots that maintain sharp focus in both close foreground and far background. 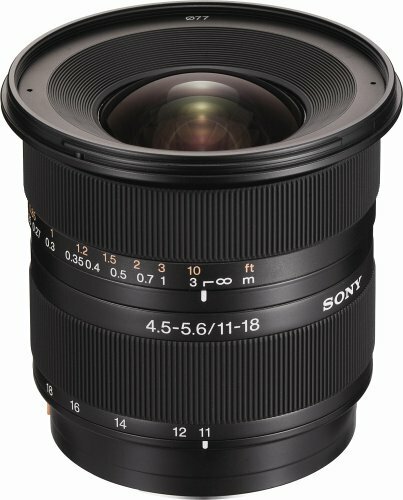 Mounted on the Sony α (Alpha) DSLR-A100 camera, this beautiful wide-angle lens achieves a 70-degree angle of view with 30mm focal length (35mm equivalent). Enjoy superb value from the SAL-28f28 wide-angle lens, an excellent choice for sharp, high-contrast shots whether you’re working indoors, shooting people in groups, or hoping to take panoramic shots of landscapes and urban scenes. 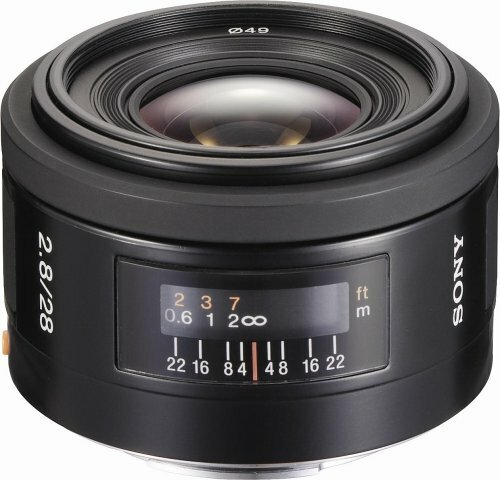 The 28mm lens–which mounts easily on a Sony Alpha DSLR-A100 camera–provides a near-standard 42mm focal length (35mm equivalent), with wide-angle optics and a deep depth of field. 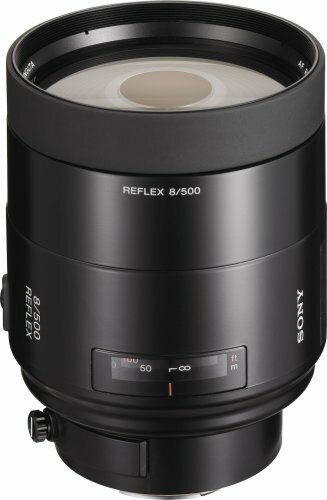 The Sony SAL-500F80 is the world’s only super telephoto reflex lens with auto-focus capability. 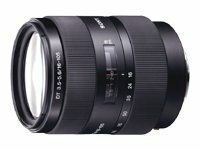 Its reflex design gives this amazing super telephoto lens a short barrel and compact, lightweight design, ideal for field work on wilderness and nature assignments–and its auto-focus capability makes it unique among reflex lenses of this class. see in the Free Local Google Advertising Listings is quite another. page on your site is loading and give you tips on how to improve it.